Note the handrails on the sides of the trails. 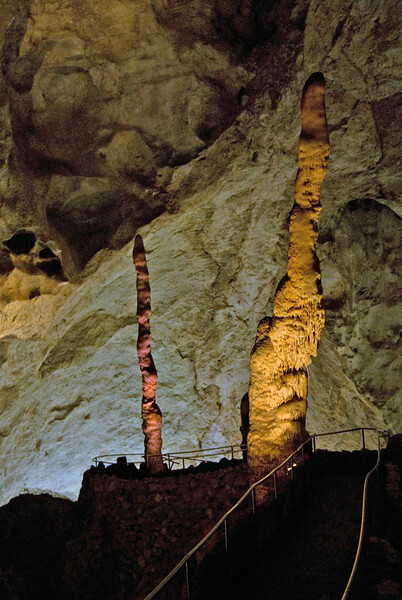 They were just over 3 feet high which gives some perspective of how high the stalagmites are. This one is my favorite. I love the perspective and the way the handrails look like electric lines.